I shun the all-too-common approach that sets up the European achievements as some kind of universal standard and then seeks explanations for why the Chinese were unable to meet that standard. I am above all interested in understanding the complex of motivations that led the Chinese to produce the images they did, not why they “failed” to produce images more like those in Europe. Although Golas goes all the way back to the Neolithic, he identifies the Song dynasty (960-1279) as the golden age of technology illustration, when the most outstanding works were published. The prime example is the Building Standards (Yingzao fashi), which according to Needham marks the zenith of Chinese technical drawing. An imperially-commissioned manual for building government edifices, much of its merits rest with the author Li Jie, an accomplished architect, painter and calligrapher. The original, dated about 1091, was lost with the entire contents of the imperial libraries when the invading Jurchen sacked the capital Kaifeng in 1127, but it survived in different versions. Traditional Chinese architecture was mainly based on timber-frame structures, a key of which was building by modules. Building Standards includes ground plans, elevations and sections, as well as drawing of component parts (beams, columns, and the distinctive bracket blocks), but it lacks representations of building methods and the tools and machines used. Another remarkable example is Pictures of Tilling and Weaving (Gengzhi tu), two series of paintings produced around 1145 by another scholar official, Lou Shu. The originals are also lost but were reproduced numerous times so as to become a genre. But the true nature of these drawings is revelatory: Roslyn Hammers, author of Pictures of Tilling and Weaving: Art, Labor and Technology in Song and Yuan China (2011), now the basic reference for this work according to Golas, notes that although Lou Shu’s work appears to have a primarily practical purpose—to show how to cultivate the land or weave silk—the images lack technological content. Rather, they show a concern for the well-being of farmer families and the relations between rulers and ruled. This trend of de-emphasising technology continued. In the later Exploitation of the Works of Nature (1637), by Song Yingxing, “the most complete and competent account of traditional Chinese technology that had yet been written,” again it does not appear that technology was the objective, but instead vaguely improving people’s lives. Picturing Technology in China reveals an intriguingly patchy story: text was preferred to describe technology (machinery, production methods and tools); pictures were not devices for understanding machines; and other human or even political concerns were the priority. The illustrations’ main subject matter was agriculture—although technology here was rudimentary—followed by sericulture and architecture, but there was hardly any representation of hydraulic technology and the ceramic industry, fields where the Chinese excelled. Nevertheless, some pictures of the Song and Yuan dynasties can show a high degree of accuracy, are intelligible and superior to similar representations in medieval Europe. A good example is the 12th-century masterpiece Along the river at the Qingming Festival painted by Zhang Zeduan: a close-up depicts in detail the slung and balanced rudder system on a boat. However, this painting marks the high point of a realistic style that soon fell out of favor. One of the central questions in Golas’s study is why the achievements of Song and Yuan dynasties were so seldom improved upon or even matched. The values, he replies, changed. Realism was replaced by an emphasis on suggestion, impressionism and personal expression. Why this happened is, according to the late art historian Michael Sullivan, “one of the most fascinating questions in the study of Chinese art.” The revival of Confucianism (or Neo-Confucianism) seems to have played a major role, with the elite’s dominance of painting, their instilled prejudices against material concerns, and the perceived superiority of abstract principles, painting taking on the aesthetic standards of calligraphy. Although the spread of illustration had been helped by woodblock printing, which had been invented earlier in the seventh century, Golas blames the inertia of this process, which “came often to embalm technology that was obsolescent if not obsolete.” He further points to the long-lasting veneration for the Chinese brush—versatile for artistic expression, but of limited precision—to the exclusion of any other drawing instrument from the Han dynasty to the twentieth century. For the most part, these images stuck to a sketchy representation of space, lacking depth and volume. The contradictions in later centuries are all too evident. 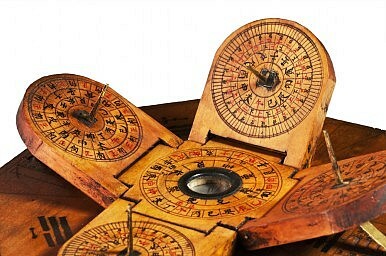 Although the Chinese economy grew from 16th to 18th centuries, inventiveness and innovation declined. The publishing industry peaked during this period, facilitating the access to culture that had been elitist so far. However, the illustrations were rather poor. Comparable Japanese illustrations are significantly better, more precise and accurate. Nor did outside contact have much effect: Golas also notes that the Jesuits’ contribution had a limited impact on Chinese technology and its representations. It seems quite clear that, in later imperial times at least, the Chinese preferred to put their best thinking into philosophy, art and other aesthetic and academic studies, to the relative neglect of technology. To this, their depictions bear witness. This richly illustrated book shows that images depicting technology played a small role, if any, in the development of Chinese technology. But they offer an otherwise illuminating insight into Chinese culture. Juan José Morales is a Spanish lawyer and management consultant who writes for the Spanish magazine Compromiso Empresarial. A former President of the Spanish Chamber of Commerce in Hong Kong, he has a Master of International and Public Affairs from Hong Kong University and has also studied international relations at Peking University (Beida). This review was originally published in the Asian Review of Books. It is republished with kind permission.